Inspired by a real midwife who became one of the most controversial figures in Victorian New York City, this "daring page-turner" (O, The Oprah Magazine) is an unforgettable tale--a love story, a family saga, and the confessions of a charismatic and passionate woman who changed the lives of countless others. Meet the incomparable Axie Muldoon. Axie's story begins on the streets of 1860s New York. The impoverished child of Irish immigrants, she grows up to become one of the wealthiest and most controversial women of her day. In vivid prose, Axie recounts how she is forcibly separated from her mother and siblings, apprenticed to a doctor, and how she and her husband parlay the sale of a few bottles of "Lunar Tablets for Female Complaint" into a thriving midwifery business. Flouting convention and defying the law in the name of women's rights, Axie rises from grim tenement rooms to the splendor of a mansion on Fifth Avenue, amassing wealth while learning over and over never to trust a man who says "trust me." When her services attract outraged headlines, Axie finds herself on a collision course with a crusading official--Anthony Comstock, founder of the Society for the Suppression of Vice. It will take all of Axie's power to outwit him in the fight to preserve her freedom and everything she holds dear. 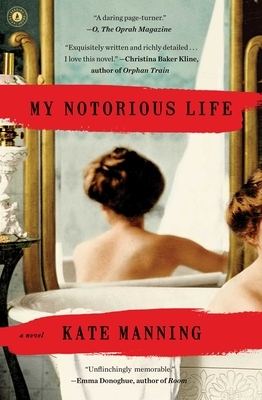 Inspired by the true history of an infamous physician who was once called "the Wickedest Woman in New York," Kate Manning is "writing in the venerable tradition of Stephen Crane...those social reformers knew that a powerful tale with memorable characters could draw us into the heat of social debates like nothing else" (The Washington Post).